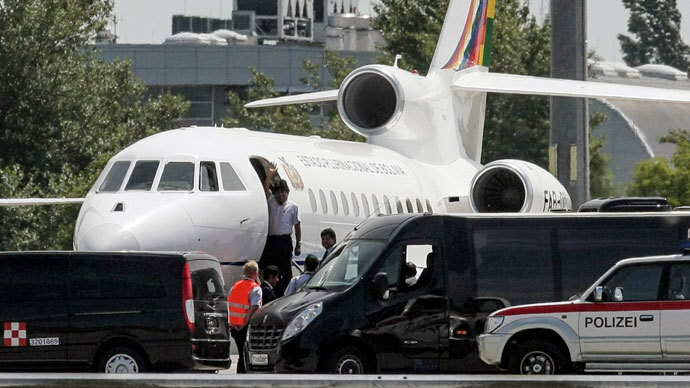 Spain has apologized for closing its airspace to Bolivian President Evo Morales' plane, which had to land at Vienna airport following reports that NSA leaker Edward Snowden was on board. 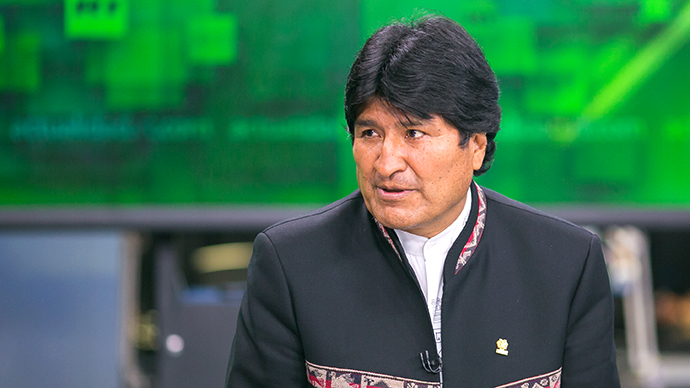 "We regret this fact ... the procedure was not appropriate and bothered the president [Morales], putting him in a difficult situation," Spain's ambassador to Bolivia, Angel Vázquez, told journalists. 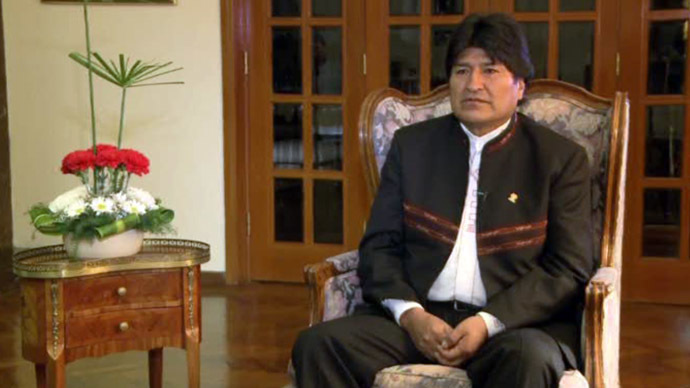 The unconventional treatment of the Bolivian president has outraged Latin America. 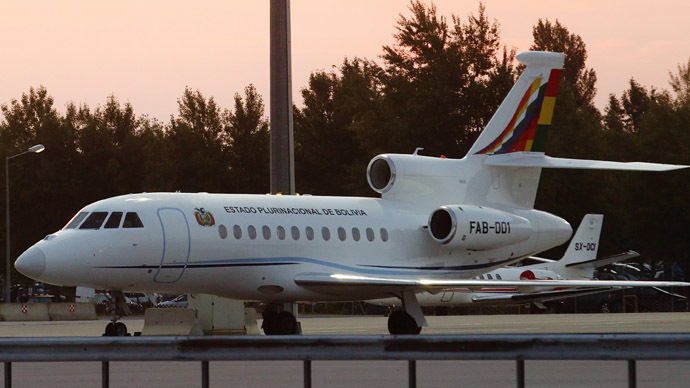 Bolivia has accused Spain, France, Italy and Portugal of closing their skies to the president's plane, which was forced to land at the airport in Vienna on July 3 after being told it was allegedly carrying the former NSA employee Snowden from Moscow to Bolivia. 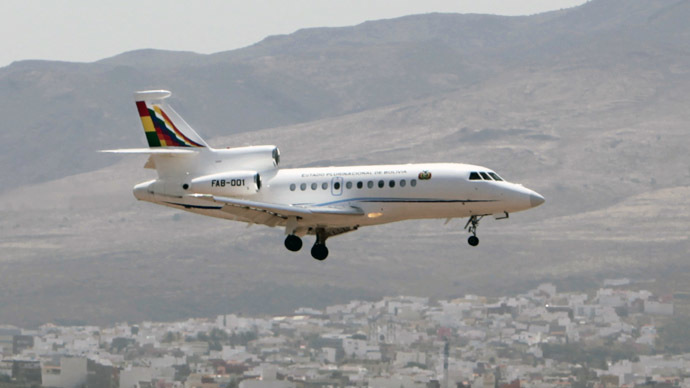 Last week Spain's Foreign Minister Jose Manuel Garcia-Margallo said that his country was ready to apologize to Bolivia for offending Morales, although he denied closing Spain’s airspace to Morales’ flight. The 30-year-old former NSA contractor is wanted in the US on charges of espionage after revealing secret NSA surveillance programs and fears he could face the death penalty in his home country. He fled American soil for Hong Kong in May and then flew to Moscow, where he has been stuck in an airport transit zone for three weeks. 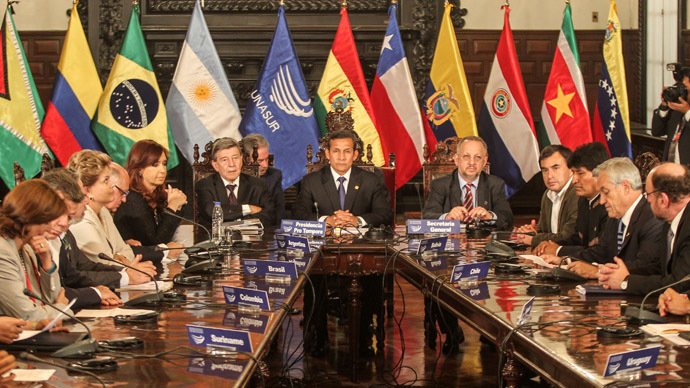 So far, three countries in Latin America – Venezuela, Bolivia and Nicaragua – said they could offer Asylum to the American whistleblower. Washington has aggressively sought to have Snowden returned to US soil, where he is wanted on espionage charges. 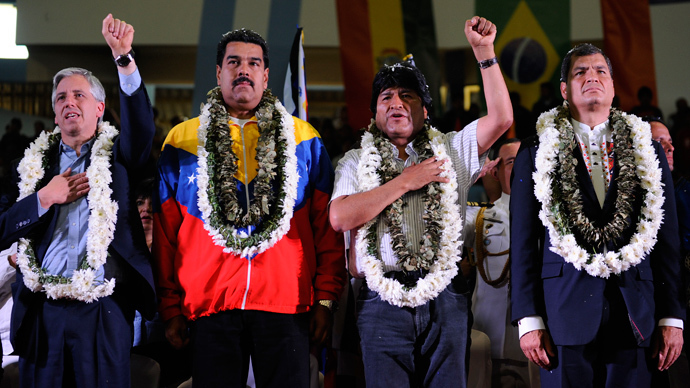 Last week, Snowden said he is seeking political asylum in Russia because he can’t fly to Latin America. On Tuesday, the Russian Migration Service confirmed receiving the whistleblower’s application for temporary asylum, which may take authorities up to three months to consider.